Very easy and delicious! You may substitute chicken if you like. Serve over rice. Whisk together oyster sauce, sesame oil, sherry, soy sauce, sugar and cornstarch in a bowl, and stir until the sugar has dissolved. Place steak pieces into a shallow bowl, pour oyster sauce mixture over the meat, stir to coat well, and marinate for at least 30 minutes in refrigerator. Pour a little more oil into the wok, if needed, and stir and toss the beef with the marinade until the sauce forms a glaze on the beef, and the meat is not longer pink, about 5 minutes. 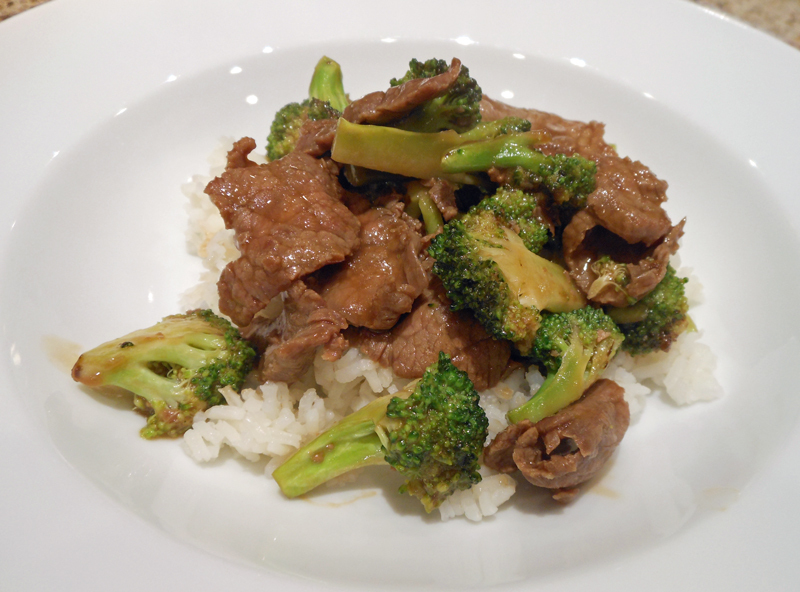 Return the cooked broccoli to the wok, and stir until the meat and broccoli are heated through, about 3 minutes.